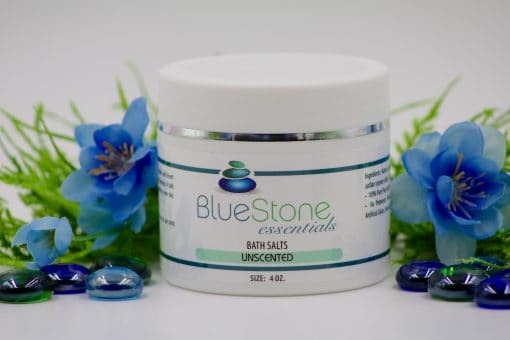 BlueStone Essential’s Unscented Bath Salt combines the therapeutic properties of Dead Sea, Epsom, and desert mineral salts to create a deeply penetrating aromatherapy bath salt which is as rich in minerals as it is luxurious. A bath enhanced with one of our bath salts will make ritual of routine, impart softness to your skin, refresh your body and leave your senses uplifted and at peace. Mineral salts from 3 continents, it’s time for a relaxing bath! Dead Sea Salts from Israel, sea salt from Mexico and desert mineral salts from Utah produce a bath that deeply relaxes the body, rejuvenates the skin and soothes the senses. 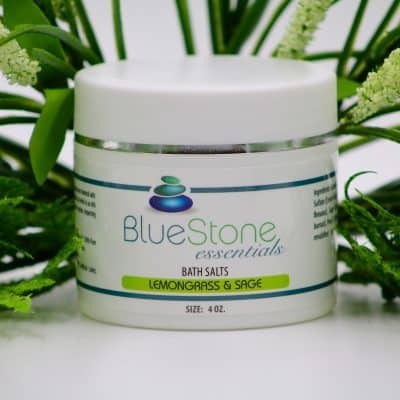 Ingredients: Natural Sea Salt, Dead Sea Salt, Sodium Bicarbonate (Baking Soda), Magnesium Sulfate (Epsom Salts), Aloe Barbadensis Leaf Juice.